What is a ffl file and how do I open a ffl file? A Find Fast document list file is classified as a system file used by Microsoft Office applications and the Microsoft Outlook email management software. Microsoft developed the FFL file format for the Find Fast control panel integrated into the programs bundled with the Microsoft Office suite and the Microsoft Outlook email manager. These Find Fast document list files are saved in the FFL format and are affixed with the .ffl extension. These FFL files should not be opened nor modified because the content of these FFL files are encoded and compressed with specifications and standards proprietary to Microsoft and are used by these applications and the Microsoft Windows OS itself as a system file. 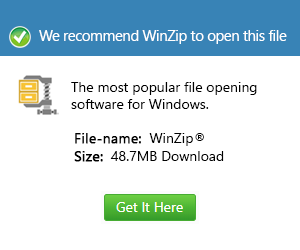 The Find Fast control panel applet was developed to provide Microsoft Windows users with a set of file and folder indexing and searching functions within the Microsoft Windows system partition and other data storage disks connected to the computer. This means when a Microsoft Windows user accesses the Find Fast control panel applet to search for a document or a folder containing the files the user requires, this applet locates the associate FFL file with a list of files and folders that correspond to the search query, then references the relevant data stored in the FFL file to display the search results to the user. In a Microsoft Office application like Microsoft Word, users can press CTRL+f to search for a word or phrase within the document, and the Microsoft Word program initializes its built-in Find Fast applet to perform the search operation requested by the user.